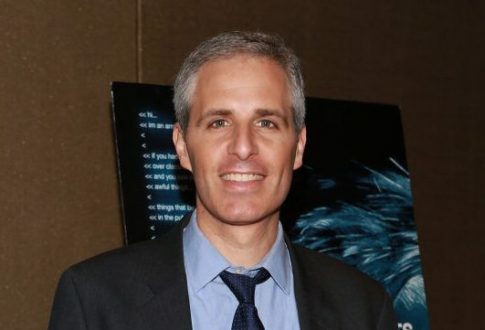 David Sirota, one of the newest additions to the 2020 Bernie Sanders campaign, once wrote that he hoped the Boston Marathon bomber was a white American. Two days after the bombing, which killed three people and injured hundreds of others, Sirota argued in an article that Americans should wish the bombers be white because that reality would prevent war and wouldn't harm the advancement of liberal causes like cutting defense spending and passing immigration reform. The article was published in liberal outlet Salon and was titled, "Let's hope the Boston Marathon bomber is a white American." Because of these undeniable and pervasive double standards, the specific identity of the Boston Marathon bomber (or bombers) is not some minor detail — it will almost certainly dictate what kind of governmental, political and societal response we see in the coming weeks. That means regardless of your particular party affiliation, if you care about everything from stopping war to reducing the defense budget to protecting civil liberties to passing immigration reform, you should hope the bomber was a white domestic terrorist. Why? Because only in that case will privilege work to prevent the Boston attack from potentially undermining progress on those other issues. If the bomber was white, Sirota said, then white privilege would shield policy debates from any political fallout. If recent history is any guide, if the bomber ends up being a white anti-government extremist, white privilege will likely mean the attack is portrayed as just an isolated incident — one that has no bearing on any larger policy debates. Put another way, white privilege will work to not only insulate whites from collective blame, but also to insulate the political debate from any fallout from the attack. It will probably be much different if the bomber ends up being a Muslim and/or a foreigner from the developing world. As we know from our own history, when those kind of individuals break laws in such a high-profile way, America often cites them as both proof that entire demographic groups must be targeted, and that therefore a more systemic response is warranted. At that point, it's easy to imagine conservatives citing Boston as a reason to block immigration reform defense spending cuts and the Afghan War withdrawal and to further expand surveillance and other encroachments on civil liberties. Sirota receive backlash for his article, but he doubled-down with a follow-up piece, published the same day. "The reason to hope that the bomber is a white American is because in a country where white privilege and double standards so obviously affect our national security reactions, that outcome will better guarantee that the reaction to Boston is a bit more measured," Sirota wrote. The bombing was carried out by Kyrgyz-American brothers Dzhokhar Tsarnaev and Tamerlan Tsarnaev. They were motivated by Islamic extremism. In the same year, Sirota also praised now deceased Venezuelan dictator Hugh Chavez and how he achieved an "economic miracle" in the country by advancing socialism and redistribution of wealth. "Indeed, as shown by some of the most significant indicators, Chavez racked up an economic record that a legacy-obsessed American president could only dream of achieving," Sirota wrote. He did note that "Chavez was no saint" when it came to human rights but suggested the United States should follow Venezuela's lead and nationalize some industries. "For example, the United States has adamantly rejected the concept of nationalization and instead pursued a bailout/subsidy strategy when it comes to rapacious banks and oil companies – and those firms have often gone on to wreak economic havoc. Are there any lessons to be learned from Venezuela's decision to avoid that subsidization route and instead pursue full-on nationalization?" Sirota wrote. He continued to criticize the "skyrocketing" poverty rate in the United States, arguing Venezuela had been able to reduce its poverty rate. This isn't the first time Sirota has worked for Sen. Bernie Sanders (I., Vt.). When Sanders was a member of the House of Representatives, Sirota was hired as his communications director but was fired soon after. It was discovered Sirota ran a fake website that attributed racially incendiary comments to an opposing candidate when he worked on a campaign for Philadelphia mayor. The Sanders campaign has also rehired former 2016 aide Claire Sandberg, who supports freshman Rep. Ilhan Omar's (D., Minn.) comments claiming AIPAC pays off Republican lawmakers. This entry was posted in Politics and tagged 2020 Election, Bernie Sanders. Bookmark the permalink.